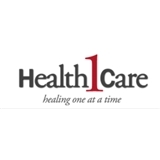 Health1Care Medical Group (Johns Creek) - Book Appointment Online! The first and foremost commitment of our practice is to see and engage each person we care for as a whole person: that means taking the time to listen and get to know each patient's history and offering preventive advice and care, not just after-the-fact treatments and procedures. To offer the most comprehensive care that we can, we have on-site a variety of medical services for patients age 18 and up, including: x-rays, bone density measurement, EKGs, ultrasounds and blood lab tests. The heart of our medical service, though, is our physicians. Between them, Dr. Christopher Kang and Dr. Linda Idun have decades of experience providing complete, compassionate care for people in major-hospital-settings in the United States, South Korea and Ghana. Dr. Kang and Dr. Idun are Health1Care -- focused on quality medical care, healing one at a time. Very kind and client oriented.